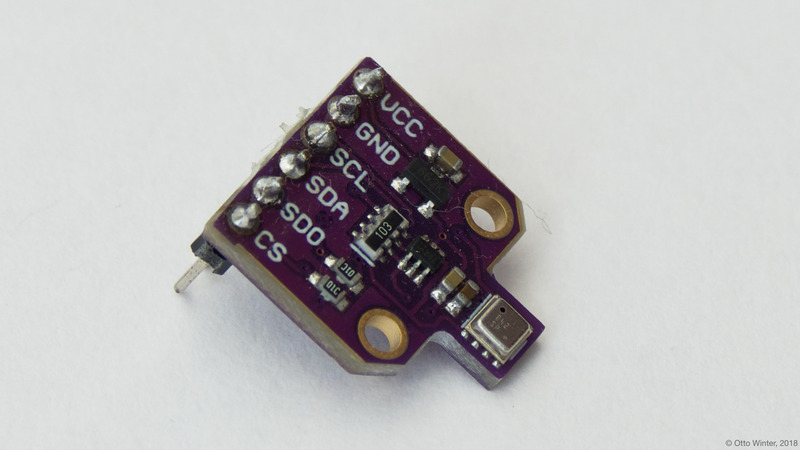 The bme680 sensor platform allows you to use your BME680 (datasheet, Adafruit) temperature, pressure and humidity sensors with ESPHome. The I²C is required to be set up in your configuration for this sensor to work. BME680 Temperature, Pressure & Humidity Sensor. humidity (Required): The information for the pressure sensor. gas_resistance (Required): The information for the gas sensor. name (Required, string): The name for the gas resistance sensor. iir_filter (Optional): Set up an Infinite Impulse Response filter to increase accuracy. One of OFF, 1x, 3x, 7x, 15x, 31x, 63x and 127x. Defaults to OFF. heater (Optional): The settings for the internal heater for the gas sensor. Set this to disable the internal heater. temperature (Optional, int): The target temperature of the heater between 200 and 400 °C. Defaults to 320.
duration (Optional, Time): The duration the heater should be active. Maximum value is 4032ms. Defaults to 150ms.